Robi Shadhinota Dibosh SMS Pack Offer 2017! All the Robi customers are eligible to enjoy Robi Shadhinota Offer 2600 SMS Bundle Pack 26 TK. Customer can use the 2600 SMS Package any number and uses time 24 hours. The Robi 2600 SMS 26 Taka Independence Day SMS Offer start on 24th March, 2017 & end on 5th April, 2017. If you want to activate Robi Independence Day 2600 SMS 26 TK offer 2017, Just follow the below. 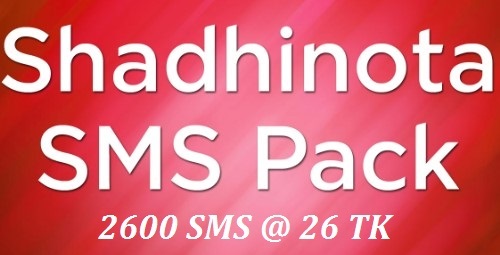 To activate Robi Shadhinota SMS Pack 26 Taka @ 2600 SMS, Customers need to Dial USSD Code *123*2600#. VAT + SD + SC includes in Taka. 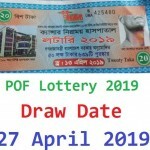 The validity of Robi 2600 SMS 26 TK Shadhinota Dibosh Offer 7 days. Customers can activate the Robi 2600 SMS @ 26 TK Independence Day Offer 2017 as many times as they want during the offer period. To check Robi Shadhinota Dibosh 2600 SMS 26 TK Offer 2017 remaining balance, just Dial *222*12#. Thanks for staying with us a long time and visiting Robi Shadhinota Dibosh SMS Pack Offer 2017 article, If you have any confusion or question or want to know more about the Robi Shadhinota SMS Pack, Just comment here. We reply as soon as possible with a correct answer.